So, your buddy really loves playing games on the PS3 while reclining on their Victorian fainting couch. And you're a busy person who can only afford enough time to pound away on a Vita between business meetings and/or fist fighting bears. Well, good news for those looking to revisit the darkened dungeons of Dragon's Crown in tandem with friends. Atlas has announced plans to bridge the gap separating the PS3 and the Playstation Vita by making the game cross-play between the two platforms. Finally, you and your buddies can oggle your incredibly deformed characters on whichever system you respectively prefer, and still play together. This announcement coincides with the current sale which drops the price by a whopping $10 in case you don't have the game already. 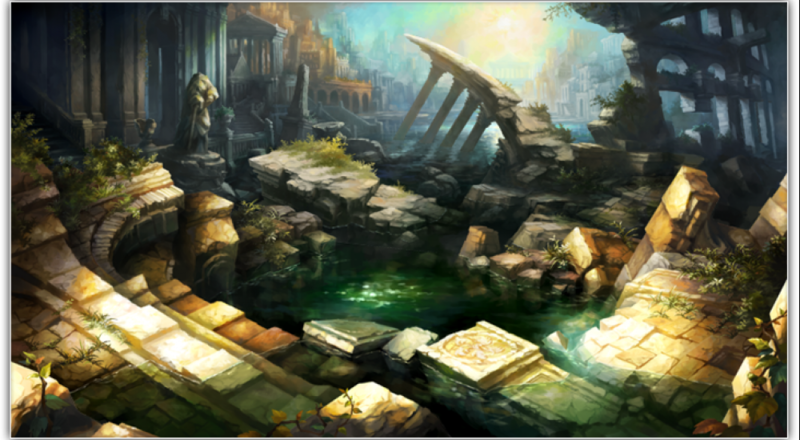 Dragon's Crown as a whole is an RPG/beat'em'up with a distinct, hand-drawn art style. Co-op is unlocked after a few hours of play though, so don't gear up for an evening of battling demons and monsters with your posse until you've put in some work beforehand. We've got a review talkin' bout the issues which is definitely worth a look if you're still on the fence on whether or not to make the purchase. 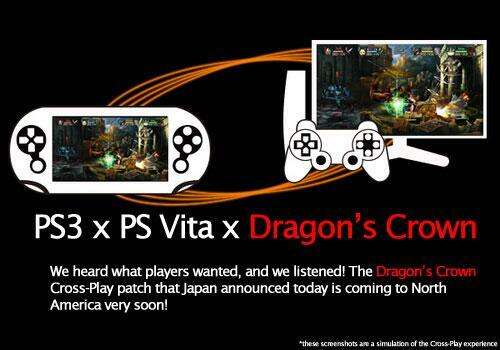 It's exciting to see Sony take advantage of the PS3 and Vita compatibility. With the promise that all PS4 games will be playable on the Vita, I'm interested to see what new opportunities Sony takes with its handheld.